Kick off your weekend with Yuengling! 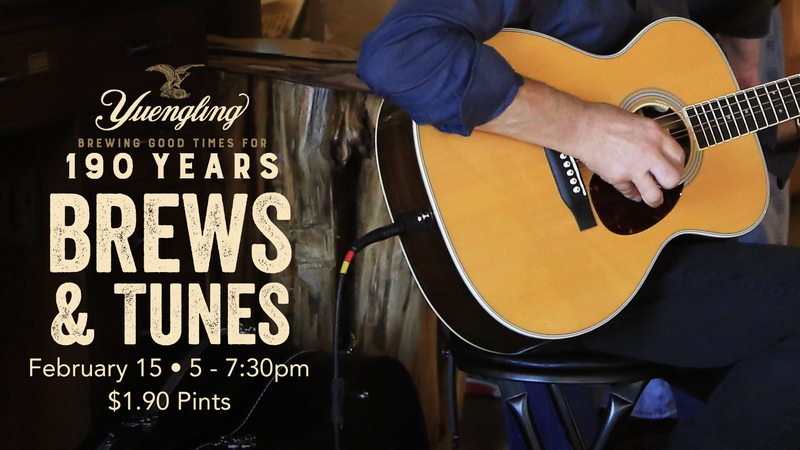 Join us for $1.90 pints in celebration of our 190th Anniversary and live music. 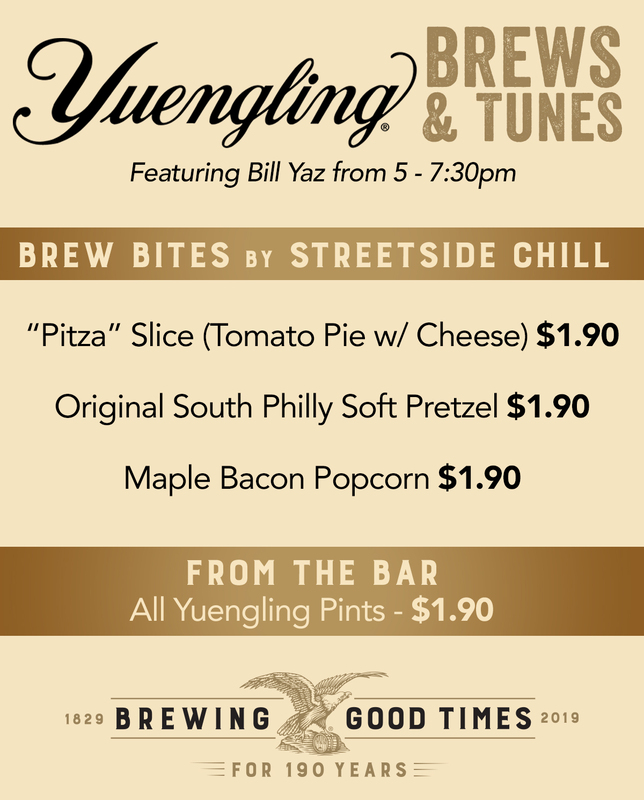 Bar and snacks by Streetside Chill will be available beginning at 4pm, tunes by Bill Yaz from 5-7:30pm.